Figure 1. 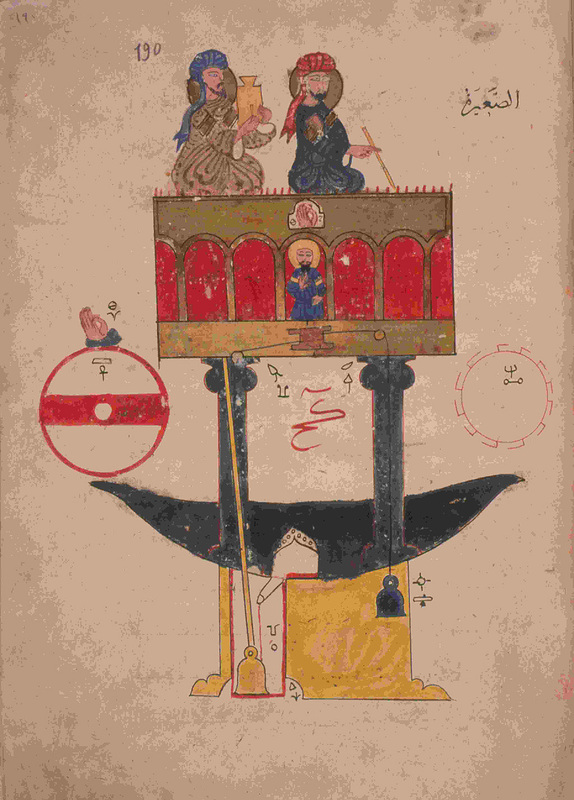 An automatic clock design from al-Jazarî's book, al-Jamiu bayn al-ilm wa'l-amal al-Nafi fî sinaat al-hiyal (Ahmet III Library, Topkapi Palace Nr 3472). This short article is taken from the full article (by Professor Arslan Terzioglu) which is available here as a 15 page PDF file. In the Islamic world, great importance was placed upon the study of natural sciences and technology. It is known that as early as during the reign of Harun al-Rashid, a water clock was built in the Islamic world. As told by Einhard who wrote the life of Charlemagne, Harun al-Rashid sent a water clock to the Emperor Charles as a gift. In the Abbasid period, Muslim scholars of Turkish, Persian and Arab origins created quite interesting works in the fields of mathematics and astronomy. It is accepted even by the Europeans that al-Bîrûnî, the Muslim scholar, (973-1051) had argued that the world revolved around its axis 500 years before Copernicus. It is certain that Islamic scholars influenced Europeans in the fields of mathematics, astronomy, and philosophy. During the era of the Artuqids, one of the small Turkic states that appeared after the Great Seljuk Empire collapsed, technical works were built. Upon the encouragement of Malik us-Salih Nasruddin Abu al-Fath Mahmud b. Kara Arslan b. Davud b. Sokman b. Artuq (1200-1222), the Artuq emperor who reigned in Diyarbakir, Bedi' al-Zaman Ebu'1-Izz Ibn Ismail Ibn al-Razzaz al-Jazarî wrote a book with the title Kitâb al-Jâmi' bayn al-ilm wa'l-amal al-nafî' fî sinaat al-hiyal which mentioned several automatic machines, water clocks, water pumps, water levels, and musical instruments, with construction drawings. Al-Jazarî worked for 32 years in the Artuqlu palace as the head engineer (Reis'ul-Amal) between 570 (1174) and 602 (1206). Al-Jazarî states that he had studied the books and works of scholars preceding him, but finally he had freed himself from their influences and solved the problems through his own point of view. He underlined the importance of the work, saying: "This book contains some tears that have been patched, some methods that have been classified and some sketches that have been discovered. I do not believe there exists another similar work". In his work, which consists of six chapters, al-Jazarî discloses his discoveries concerning important technical issues such as water clocks, water clocks with oil lamps, the constructions of pots and pans for wine making, the construction of ewers and bowls for use as cups, the sketches of pools and fountains and music automata, and the sketches of devices able to elevate water from shallow wells or flowing rivers. Figure 2. A rocket plan from Ibn Aranbugha's book Kitabül anik fil manajik kitabül hiyal fil hurub ve fath, Kitabul esliha (Armoury Manual), Ahmet III Library, Topkapi Palace Nr, 3469. It is seen that the technical and natural sciences were encouraged and flourished not only during the Artuqids, but also in the other Seljuk beyliks, and in Syria and Egypt later on during the Mamluk sultans. Especially during the first Crusades, there was an obligation for Islamic scholars to work on the discovery of gunpowder and explosive weapons as early as the twelfth century, in order for the Turkic-Islamic world to succeed against the Christian armies. Syria (and particularly Damascus) was a major centre of the sciences in the thirteenth century with the madrasas and hospitals built by Turkic Atabegs. It was very natural for Muslim scholars to manufacture gunpowder and build explosive weapons in Syria as it witnessed many gory battles during the Crusades. Islamic scholars in the thirteenth century had sufficient technical information to use gunpowder for rockets. In the books "Kitap al-furusiya val-muhasab al-harbiya" and "Niyahat al-su'ul val-ummiya fi ta'allum a'mal al-furusiya" written by the Islamic scholar Hasan ar-Rammah Najm al-Din al-Ahdab in the thirteenth century, explosive materials, firearms, and, for the first time, torpedoes driven by a rocket system were mentioned. In this work on battle techniques written around 1275 by Hasan ar-Rammah, the illustrations of a torpedo running with a rocket system filled with explosive materials and having three firing points can also be found. Another book on arms and military in the Topkapi Palace is a very valuable document copied in the fourteenth century that consists of three different works. The first section is called Kitab anîq fi'1-manajniq and written in 775 for Ibn Aranbugha Al-Zardkâsh, the Ayyubid commander or for Mingili Boga al-Shimmin. According to more recent research, the author is not known. The second section is the book called Kitab al-hiyal fi'l-hurub ve fath almada'in hifz al-durub, on rockets, bombs and burning arrows, written by the Turkish commander Alaaddin Tayboga al-Omari al-Saki al-Meliki al-Nasir. Figure 3. 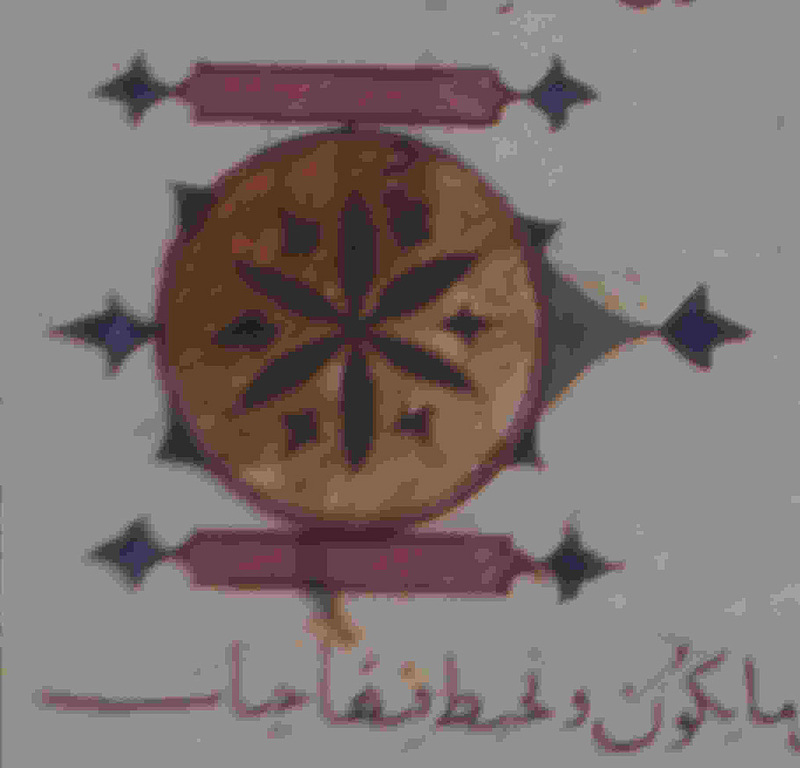 Another rocket plan from Ibn Aranbugha's book Kitabül anik fil manajik kitabül hiyal fil hurub ve fath, Kitabul esliha (Armoury Manual), Ahmet III Library, Topkapi Palace Nr, 3469. Leonardo da Vinci is often mentioned as the first inventor of the dark box (a primitive version of a camera [Camera obscura]), water pump, flywheel, and flying machines. However, it is known that Leonardo da Vinci was influenced by Islamic scholars, and he was particularly inspired by the work of al-Hazen. We have to remember that a hand-written copy of the technical work of Ahmed b. Musa, the Islamic engineer, is still in the Vatican Library. Furthermore, in the Turkic-Islamic cultural world, the first attempts at flight are seen long before the European Christian world. A Turkish scholar of Sayram (Ispidjap) had researched the relationship between the wing surfaces of birds and their weights, to find the physical causes for flight. This work set new horizons in the field of aerodynamics. Hezarfen Ahmed Celebi, who opened a new era in the history of aviation, being sent to Algeria in exile, and Lagarî Hasan Celebi not receiving enough attention, and his departure to the Crimea later on, do answer the question of why the development in this field did not continue. The Turkish engineer Lagarî Hasan Celebi, flying with a seven-winged rocket of his own invention and then landing safely on the sea with eagle-like wings, is very similar to the sea-landing methods of Americans, with parachutes after their voyages into space. Therefore, Lagarî Hasan Celebi deserves a special place in the history of aviation, with his flight attempt, which opened new horizons in rocketry techniques. When Lagarî Hasan Celebi made his flight attempt with a rocket-like vehicle; the Ottoman Empire was going through its last bright era under Sultan Murad IV. In the work called Ummul-Gaza, written by Ali Aga, the second caliph of the Bombardiers class in the reign of Sultan Ahmed III (1703-1730), which is currently in the Topkapi Palace; the rockets called tulumbas invented by himself and used for castle sieges in the seventeenth century were described. These are described as being 11-12 arsin (7-8 m) long and the diameter was difficult for one person to encircle. In this work, Ali Aga relates the failures of the battles to the decline in inventing and developing armaments and recommends to the sultan that new arms be developed. Thus, it is seen that the developments and new discoveries in the Turkic-Islamic world in this field came to an end. The Islamic renaissance, which began in the ninth and tenth centuries, brought about major advances in the technical field and as early as the ninth century the first attempts at flight had begun in Turkistan and Andalusia. It is understood from the works of Hasan ar-Rammah and Aladdin Tayboga al-Umari as-Saki and other works, the copies of which are in our libraries that during the Seljuk and Mamluk era rocket driven torpedoes and rockets were developed. At the beginning of the seventeenth century, the Turkish engineer Lagarî Hasan Celebi's flight in Istanbul is very similar to the sea-landing methods of Americans, with parachutes, after their space flights. 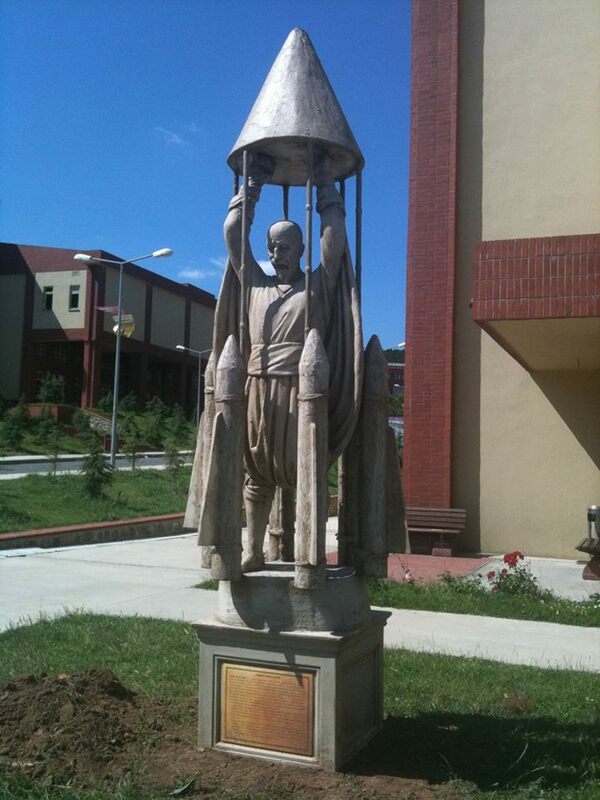 Evliya Celebi mentioned that Lagarî Hasan Celebi went to the Crimea after this trial, to Selamet Giray Khan, and the first Russian rocket technology studies in Ukraine coincided with the period just after Lagarî Hasan Celebi's residence in Crimea and his death., This supports the opinion that studies in the field of Russian rocket technology could have been influenced by the Turkish engineer Lagarî Hasan Celebi and his students.